This pair comes in a selection of colors that will hide immediate stains but still stand out through the bright tonal accents. 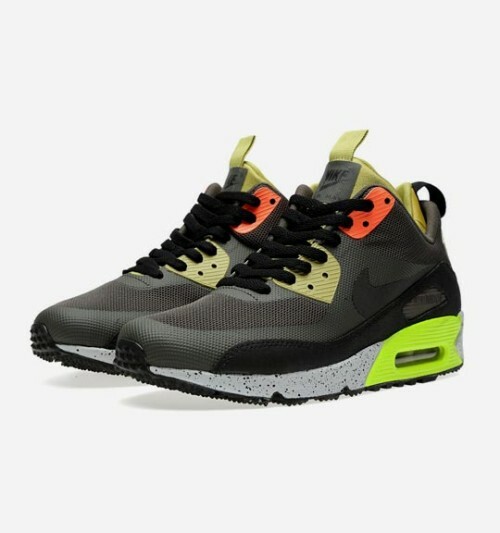 This entry was posted in GETDipped and tagged Nike, Nike Air Max 90, Nike Air Max 90 SneakerBoot. Bookmark the permalink.